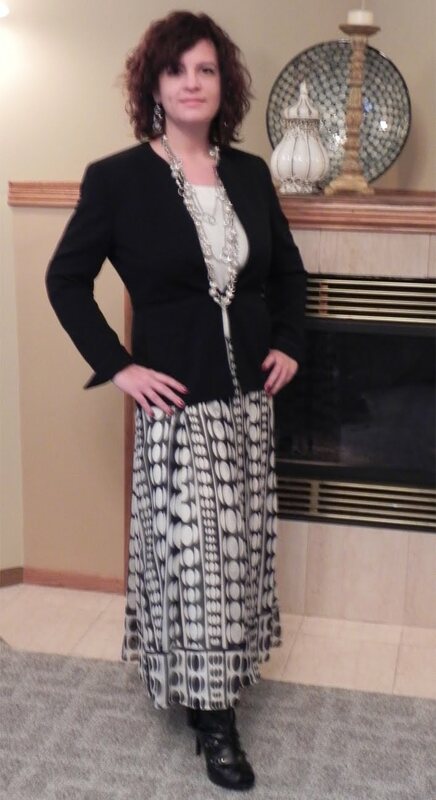 As an Ann Taylor sales associate and personal stylist, I had the opportunity to dress newscasters, homemakers, lawyers, accountants and students. With experience, I saw patterns of style emerge. I learned how women approach dressing. I gleaned style nuggets from my fashionable customers. I listened intently to customers who seemed to abhor the whole “getting clothes” process. Here are some observations from the front lines of the fashion wars. 1. Fashionistas know it’s important to be polite to sales associates. Savvy shoppers build and develop relationships with the sales staff. You don’t have to be BFF’s, but patience and courteousy go a long way. A courteous customer says “hello” upon entering the store. She is patient when a return or special order is being processed. After trying on her pieces, she returns her merchandise to the rolling rack. She knows, appreciates, and expresses gratitude for exceptional service. 2. Fashionistas don’t default to wearing black. They know that black is much more aging than reds, whites and yellows. Color is kinder. They embrace vibrant color. 3. Every women has at least one body issue, even the sub zeros. However, truly stylish darlings seem to have the most accurate body perception and know how to cleverly conceal figure flaws and reveal body attributes. Make sure your clothes are not too tight, too short, or reveal too much skin. Accept the fact that most women simply can’t buy a pair of pants off the rack and have them fit perfectly. Find a good tailor and get a custom look with alterations. 4. The most stylish women never bought a head-to-toe look from Ann Taylor, even though we were taught to sell the customer five items, including jewelry and hosiery. Fashionistas use the in-store mannequins as a starting point. 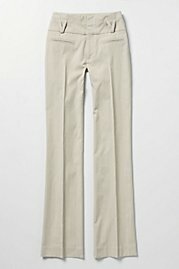 Mix the Ann Taylor top with the Nordstrom pants with the consignment store jewelry. The magic is in the mix, and so is the style. Seek pieces that are uniquely you. 5. Personal style is an imprecise science, much more an art. There are guidelines. However, the most fashionable women also have the most fun. They know that shopping can be joyous. Give yourself enough time to try a lot of clothes on. Experiment. Try something you normally wouldn’t select. I recently tried on a romper. It looked hideous, but I had fun. It might have worked but until I tried it on, who can be sure? Keep an open mind. 6. Most women wear the wrong undergarments. As Stacy and Clinton from TLC’s What Not To Wear remind us, get a professional bra fitting once a year! Explore different underwear options based on the outfit you are wearing. Ask for expert assistance. The proper undergarments make all the difference. You will look better, feel better about your look, and your clothes be what people remember, not your clumsy undergarments. 7. Stay organized! Subscribe to the store’s email list to stay in the know regarding sales and shows. I created a separate email address exclusively for store emails. That way my regular inbox doesn’t get cluttered with sales notifications. Keep your receipts in a file by retailer. Make returns in a timely fashion. Take your time in the store to make a good decision; stores track chronic returners. 8. Be prepared! If you are shopping for a special event outfit, bring the items you already have selected. Maybe it’s the shoes, or a nice blouse. Don’t imagine how it will look with the new pieces. See how it looks first-hand, in the dressing room. Bring a digital camera with you and snap a photo of yourself to give yourself visual feedback. Learn what you like and don’t like about your possible outfit, then tweak your look accordingly. Most importantly, stylish women know that building a wardrobe takes time, patience, self-knowledge, boldness and commitment. Here’s to your style success! 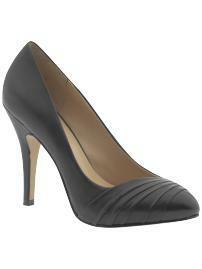 Dena A. Lorenzi has blogged at Blogging 4 Jobs, Career Branches and More Modern Modesty. She’s a marketing professional and fashion enthusiast who blogs as @FaithInFashion on Twitter and presents her You: The Brand seminar to college seniors and corporations. Are the Clothes You Are Wearing Making You Look Heavier? Look 5 lbs. Thinner with These Tips! Who can’t stand to lose a few pounds especially with Spring right around the corner? But if the gym is absolutely the last place you want to be right now then read below for more tips! You can instantly look thinner in just seconds without lifting a weight or doing a single crunch. Here are some of my tips on how to look your best in an instant! Don’t wear baggy clothes because you are a.) too lazy to get something tailored or b.) want to camouflage a few pounds. It will only make you look bigger in the long run. Accent your best feature and run with it - maybe it is your small waist or enviable Michelle Obama - like arms. Why not try a wrap dress or sleeveless sheath dress that will accent both? In the office, layer a short sleeve cardigan or jacket over the look. 2. Remember how your parents told you to stand up straight? Well, I'm afraid they were right and it makes you look thinner instantly when you do! 3. 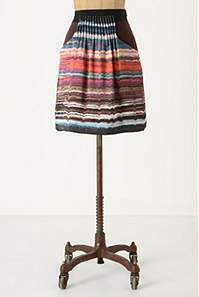 Watch your fabrics - love that boucle tweed, heavy knit, or satin skirt? Depending on your body type, it can actually be not as flattering as you think. If you have more of an hourglass or pear shape, it may draw attention to your hips. Wearing an A-line skirt in a lightweight wool or cotton will draw attention to your waist while floating away from the body. 4. Want your legs to look long and lean? Try wearing a pointed heel or even a flat. 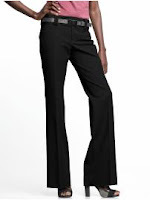 It visually gives that extra length if you are petite or short in stature. 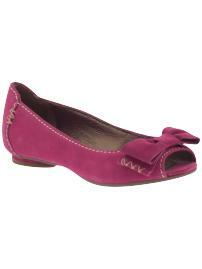 You can select a classic black pump or have some fun with a bold flat, like this hot pink flat featured below. 5. 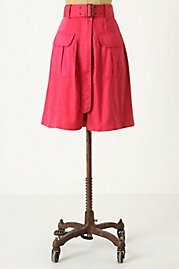 Pleats - we know they are a trend this season but they can make you 10 lbs. heavier when you think you are camouflaging a belly. Stick to a flat front pant. These are just a few tips that can help enhance the body you have now instead of the body you had way back when! Melissa McGraw is the CEO/Founder of the newly launched website, The Fashion Potential. If you are serious about style and have a passion for fashion, why not find a way to get involved with the industry you love? Follow Melissa on Twitter: @fashpotential or "LIKE" The Fashion Potential on FB. My RT on NYFW got picked up! > The Cheryl Knauer Daily is out! http://bit.ly/eZa0ge ▸ Top stories today via @daracooks @wbaltv11 @jamielaceypr @faithinfashion <- Thank you! Today, in honor of the Green Bay Packers playing in Super Bowl XLV, I'm featuring Kimberly Gomez, a Wisconsin fashion blogger & the President of Impeccable Image LLC , an image consulting & fashion styling company. "This spring, one of the trends is long skirts, which totally excites me. I've always loved long skirts and have worn them for years for a number of reasons including that they're more comfortable than short skirts because you don't have to worry about anything showing or hanging out. You may or may not have heard the "rule" that if you're vertically challenged you shouldn't wear long skirts. Ignore it. I'm 5'4" and don't think I look stumpy or any other negative adjective, wearing a long skirt. So you won't either! Just remember to not wear a long skirt with a lot of volume, pleats or gathers that will make it look overly large or frumpy. If you're tall and thin, you have more leeway to wear long skirts with volume, but don't go overboard. Long bottoms and long tops don't go together; so don't wear long jackets or tops with long skirts. Mid-hip should be the longest length you wear. Also, make sure the jacket or blouse is more tailored and not boxy or voluminous. Whenever I talk about dresses or skirts, I always have to mention slips. Slips are not out of style . Unless you wear a very thick, tight fabric such as denim, corduroy or thick wool, you should always wear a slip. Just because a dress or skirt has a lining doesn't mean you can go without a slip. Most linings are see-through; so to be safe, put on a slip [see photo above]. It's easy and only takes an extra 15 seconds. Slips come in many colors and lengths. I suggest you buy a few in both flesh tone and black at the different lengths of skirts and dresses you wear. Don't wear a really short slip with a long skirt. You'll be able to see where it ends; not a good look. Have fun this spring and send us pictures of you in long skirts. Cheers!" Big thanks Kimberly for your time! Great advice on how to rock a long skirt. If you're like me and love Twitter, follow Kimberly @impeccableimage ! Welcome to Faith In Fashion, a fresh approach to dress and the Divine. Thank you for visiting! Picture Window theme. Theme images by webphotographeer. Powered by Blogger.